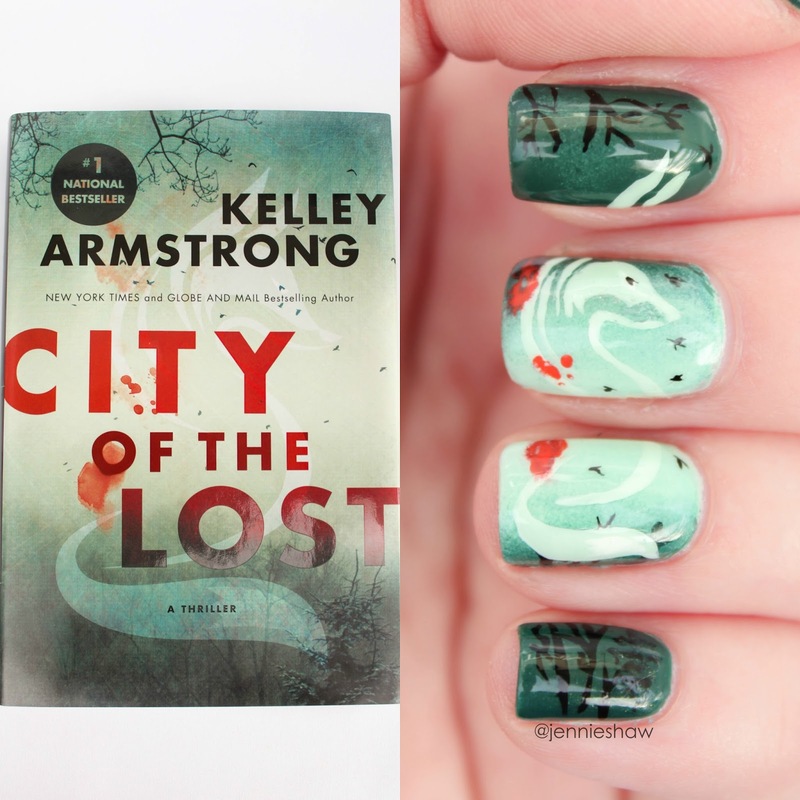 CITY OF THE LOST is the start of another amazing series by Kelley Armstrong. 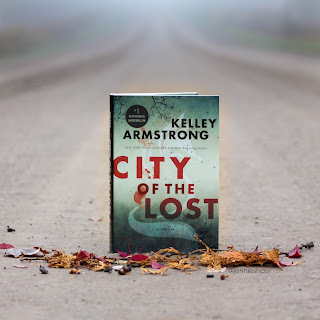 I'm in deep with the Cainsville series (the next release isn't out until August of 2017 and omg that's basically forever from now *cries*) and I picked up CITY OF THE LOST, hoping for the same kind of un-put-downable read. Non-spoiler alert: it was everything I wanted and more! 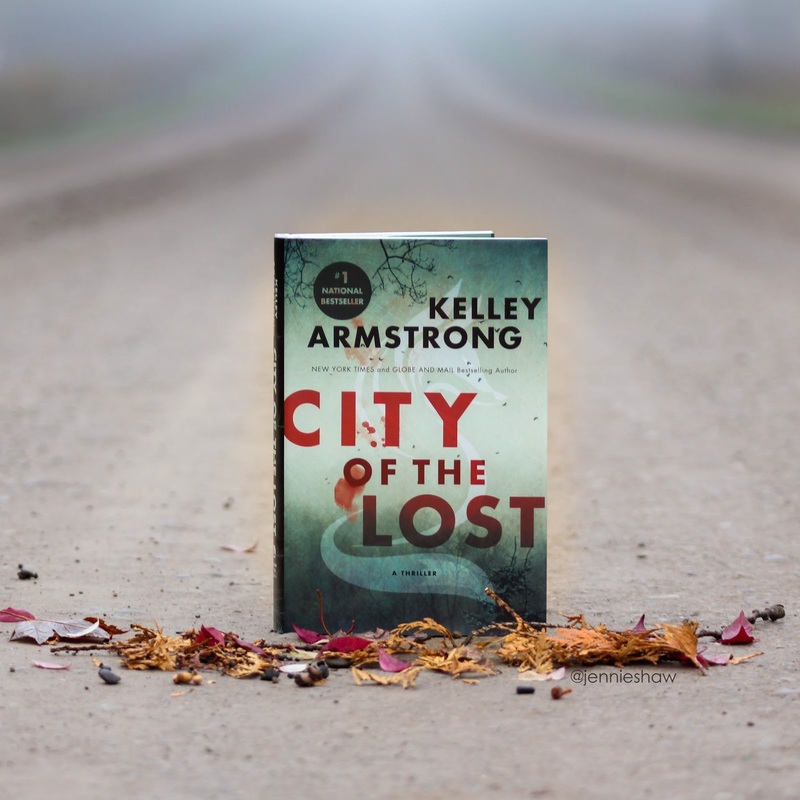 New York Times and Globe and Mail bestselling author Kelley Armstrong delivers us to Rockton, a secret little town in the far north where the hunted go to hide. And where a hunter has now come to play. Casey Duncan, people. CASEY DUNCAN. She's beyond awesome. I mean, who else would upend their life and move to the middle of frickin' nowhere (literally) in order to help their best friend? Nobody, that's who. But that's only one example in an endless string of the awesomeness that is Casey. She's incredibly smart and intuitive, loyal to a fault, and isn't afraid to stand up for what she thinks is right. Actually, that's not totally true. Casey is afraid when she addresses an unjust situation, but she acts anyway, which is the definition of real courage. Also, have I mentioned that Casey drinks tequila? Straight, and without convulsing into a coughing fit? I'm reasonably certain that's the mark of a true badass, so add that to all of her other character quirks and Casey is pretty much the best. Not that she believes it, of course. Nope, not even for the briefest of moments. But that just makes me like her more. Gah! It's all so good! As you can tell from the back jacket, the book began with Casey's startling confession. It was pure brilliance, and a key reminder of why I love Armstrong's writing. I'm always surprised. But not only with the "whodunnit" aspects (of which there are many red herrings and delightful twists). When it comes to character development, Armstrong takes my natural assumptions and flips them to create powerful moments. And the best part? Even though I know Armstrong is a wondrous trickster, I never see the flips coming! In CITY OF THE LOST, the character arcs--reveals, secrets, and betrayals--elevated the story's tension to squirming-in-my-seat territory. There was even a part where I teared up. Yup, CITY OF THE LOST is a crime/thriller novel and I cried because it touched my heart. Also in true Armstrong form, the remote northern location was described in eerie, atmospheric splendour, becoming a character in and of itself. The entire concept of Rockton was fascinating: a place for people to hide. And the eclectic collection of residents meant that nobody could be trusted. Talk about an amazing place to set a thriller, right? Combining the unique setting and a killer cast--haha!--with questionable motives and even more questionable pasts, means that I've found another series to obsess over (where I'll devour each new release and then anxiously wait 50 weeks for the next instalment, haha!). 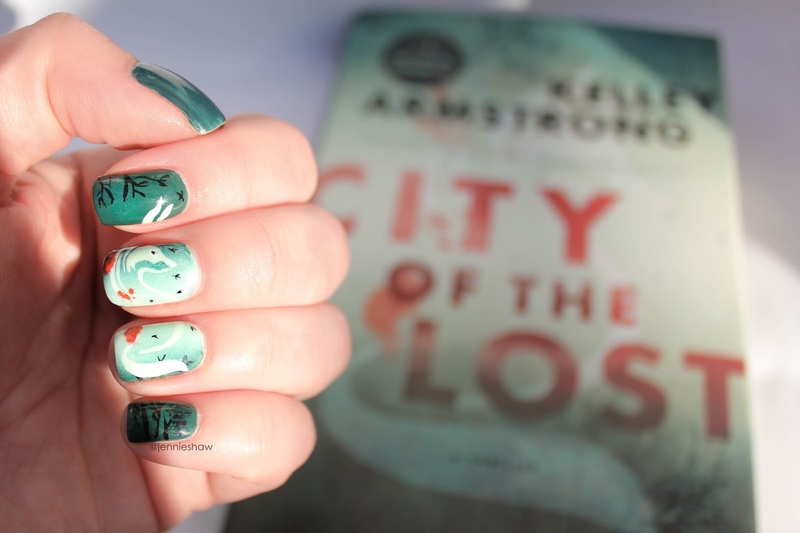 That mani is gorgeous! (I know I always say that, but serious grabbyhands over this one). And the book intrigues me. I may have to pick that up this winter. Yay!